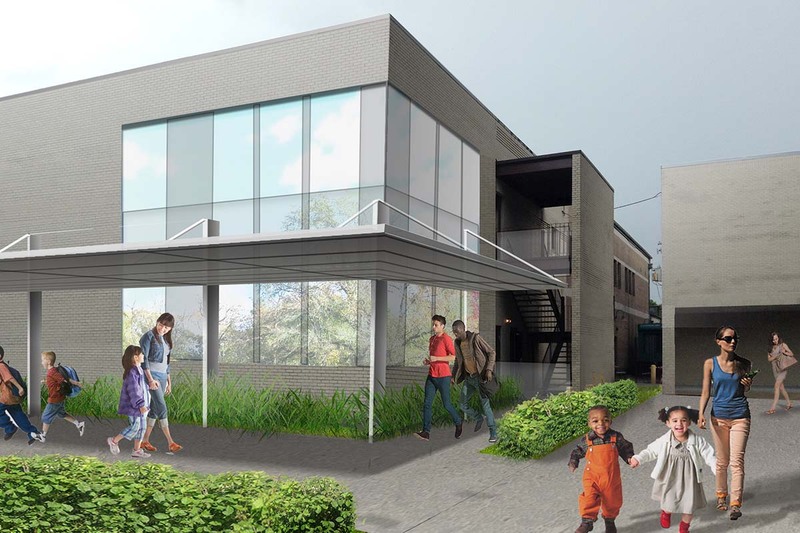 A vacant wing of a community complex in the Central City neighborhood of New Orleans will provide the New Orleans Public Library with an ideal location for the much needed expansion of its small current Central City branch located in a neighborhood school. 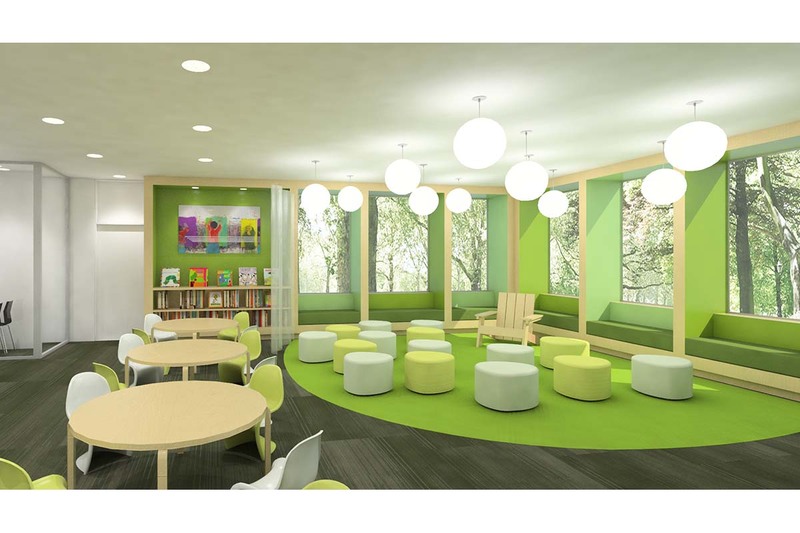 Transformation of the space situated between a senior center and a daycare center speaks the library’s role as an essential “link” serving the entire community. Verges/Rome in New Orleans invited MDA designgroup to team with them in providing design services. 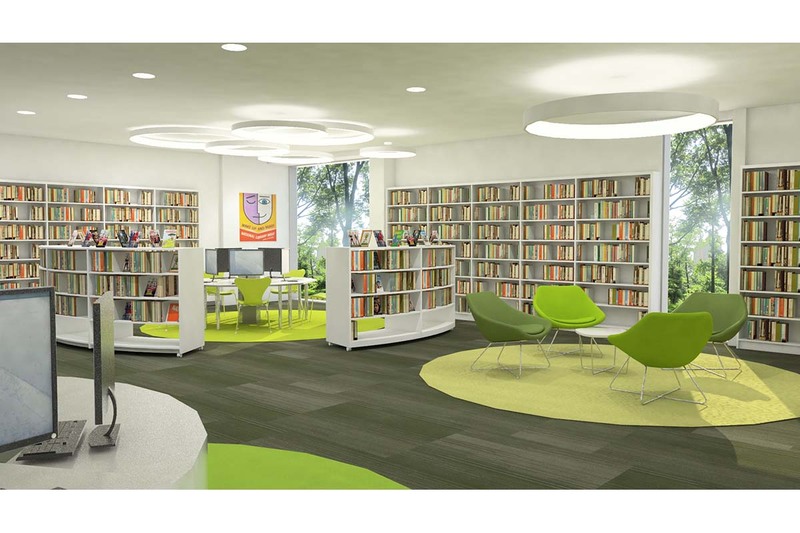 By relocating shared site elements from the current footprint, space was created for a 5,100sf branch library. Sustainability goals will be actively demonstrated through re-use of the building’s structure, material choices and the introduction of daylight through new openings. Conceived as an open and active loft space the library is designed to welcome community residents of all ages in the sharing of the abundant digital, print, and programming resources offered. 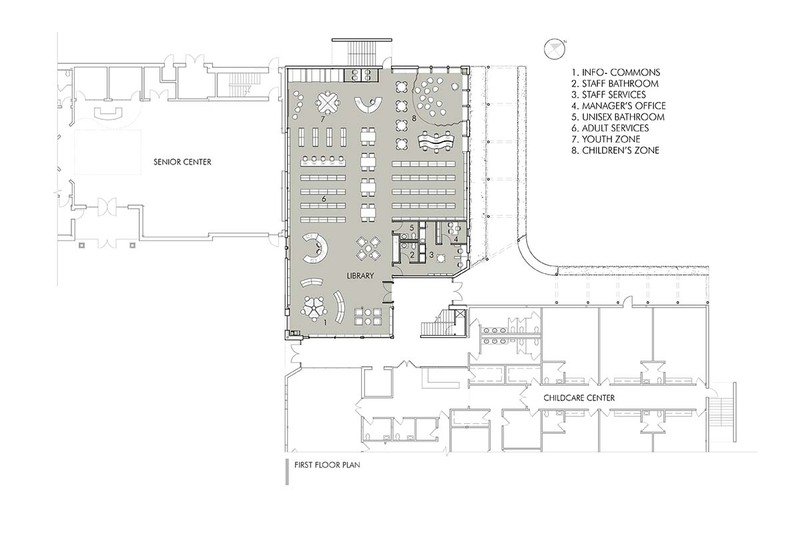 Features included that are not currently offered in the small converted classroom space include a media area, soft seating clusters, 15 computer stations, a Teen zone with dedicated computers, booths for collaboration, and a gaming wall, and a large Children’s zone with computers with dedicated software, and a scrim-enclosed story-hour/program area with semi-enclosed ”bay windows” for parents or caregivers to sit in while reading with their children. Construction is slated for early 2017.